Factual models in a fictional setting summaries these dramatic kits. 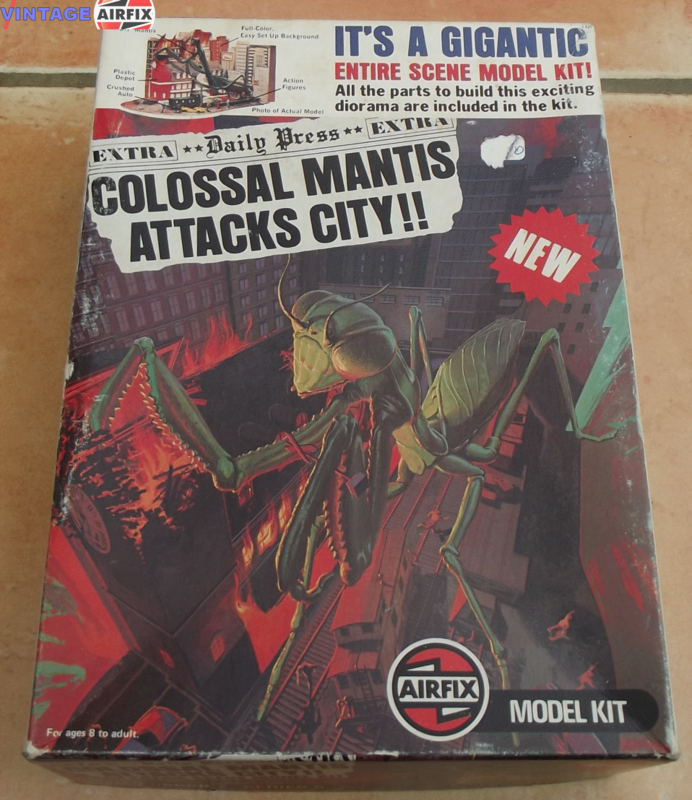 Science fiction dioramas with the star being a rampaging Scorpion and a colossal Mantis loose in a city brings the horror film scene to the model world. Each kit includes an easy-to-assemble full background with miniature figures and vehicles.